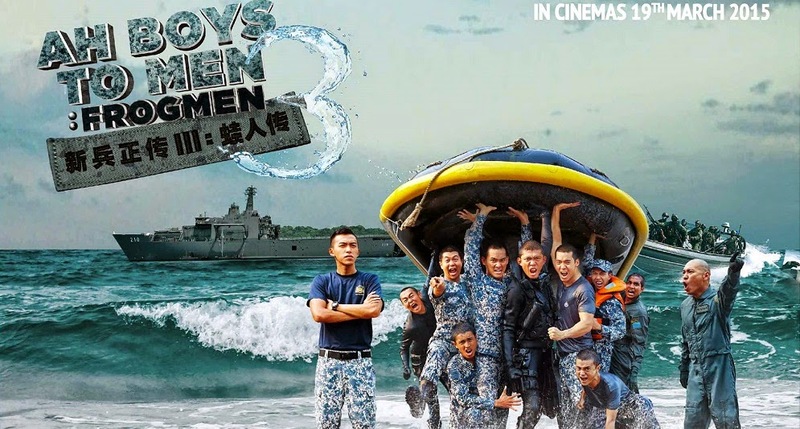 The high anticipated third instalment of Jack Neo’s Ah Boy to Men franchise has been released in Singapore and received an overwhelming support from the audience there, setting a new record in the country during Chinese New Year period with an accumulative box office of SGD$2.8 million. And this Thursday, Frogmen will arrive to the shores of Malaysia. Released by MM2 Entertainment, the Singaporean action comedy takes the recruits back to the days before the enlistment in ABTM with Wang Wei Liang, Joshua Tan, Maxi Lim and Tosh Zhang reprising their roles as Lobang, Ken Chow, Aloysius the Wayang King and Alex Ong respectively. In this alternate reality, the Ah Boys are posted to the Naval Diving Unit (NDU) instead, apparently the toughest training camp in Singapore, and will go through hell-like intensive training joined by a new character named Hei Long (played by Wesley Wong) who’s a gang leader in Hong Kong. As usual stay tuned for my review on the film.